A completed MV-9D form is required signed by a practitioner of the healing arts. Cost to renew tag annually: $20 plus applicable ad valorem tax. The ownership of this tag cannot be relinquished. 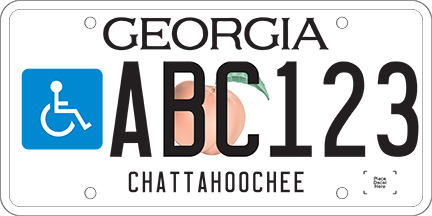 This tag cannot be issued in a business name; it may be issued showing joint ownership; and it is transferable between vehicles. This tag may be issued to a spouse, parent or legal guardian of a disabled person. Upon the death of the disabled person or if joint ownership ceases, the tag must be surrendered to the County Tag Agent for the issuance of a regular series tag.